Buggy Locks are a great way of managing your space whilst giving customers peace of mind. Reports of opportunist theft of expensive pushchairs are on the rise. 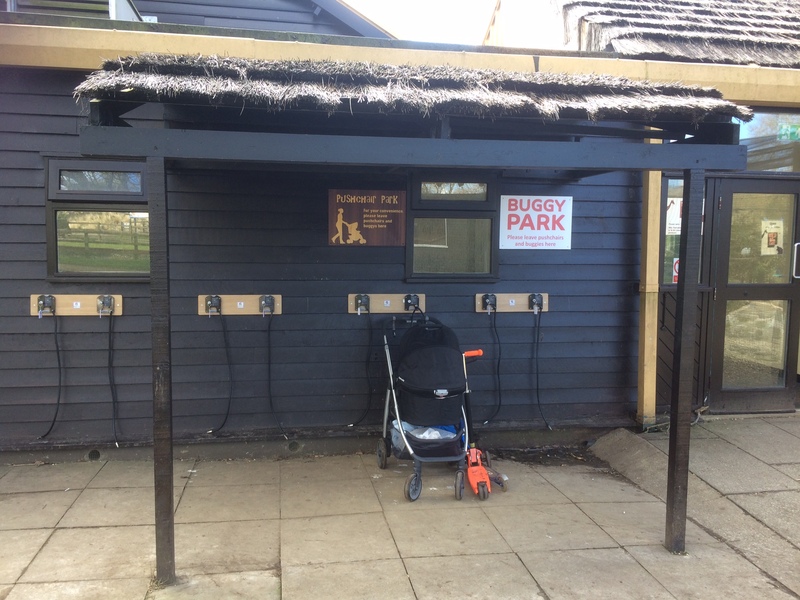 Incidents in play areas, and Pushchair parks of thieves wandering in with a “cheap second-hand buggy” then strolling out 10 minutes later with a £500 designer buggy does not usually even catch the notice of busy reception staff. With the buggy lock you can still ask users to keep the bulky strollers in a safe area but with the peace of mind that they won’t be targeted by this kind of theft. Used across the UK in Museums, Leisure Centres, National Trust Properties, Nurseries and other attractions. The buggy lock is a sturdy attractive unit which uses a smooth silicone covered chain to secure the buggy to the wall without causing any damage. The operation utilises a classic Ojmar Coin Return lock, traditionally used on a locker door. This ensures that the operation is instinctive and simple. Clear instructions are shown on each lock and a large distinctive key fob is used to avoid key loss. Units are supplied as 2 boards each complete with 2 locks in order that the weight of each unit is reduced and they can be placed in flexible positions. Wet area versions of the lock can be specified where they are required outside without cover.